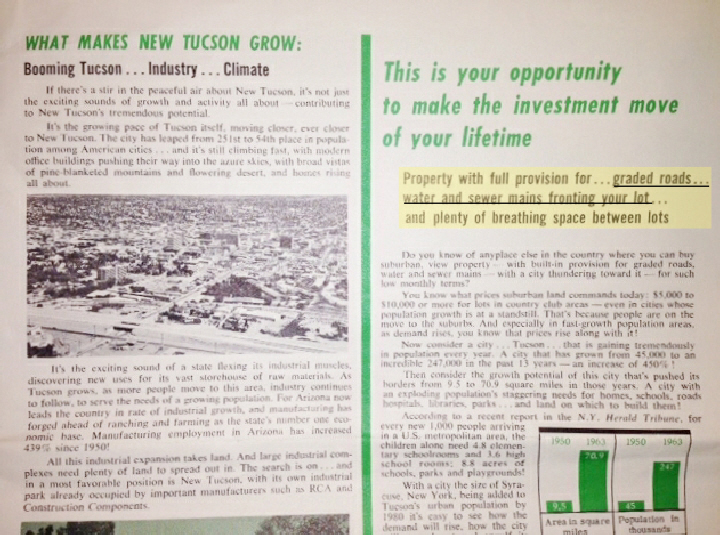 In the 1970s lot owners were promised roads and utilities would be put in the New Tucson/Sycamore Vista Subdivision. 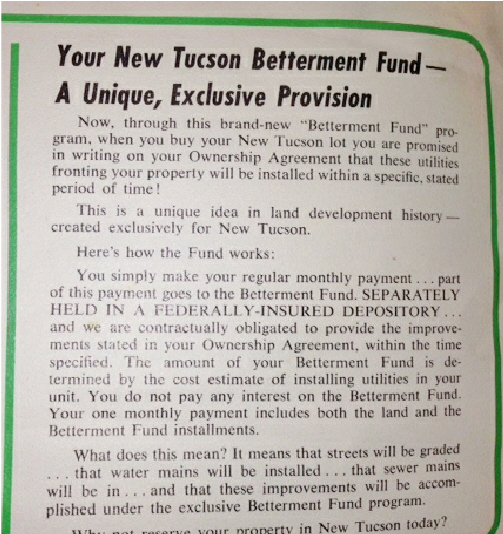 This is a page from their sales brochure given to buyers. A long-term lot owner sent it to me. This entry was posted in Uncategorized and tagged Horizon Land Corporation. Bookmark the permalink.